The 250-year-old automaton swan made of silver and clockwork gears plays music, moves its head, preens, and eats a fish. The Bowes Museum in England is home to an incredible feat of craftsmanship from the Georgian era – a life size, clockwork-driven mechanism that has been mesmerizing crowds since its creation in 1773. Built by London inventors and horologists John Joseph Merlin (creator of the rollerskate) and James Cox, the Silver Swan is a automaton that mimics the movements of a real swan in a stream. When wound up, music begins to play as the swan swings its head from side to side and seems to preen itself. It then notices silver fish swimming between the spinning glass rods that represent the surface of the water. It bends down to catch one, and then returns to its upright position as the 32-second performance comes to an end. The Silver Swan first garnered attention in Merlin’s Mechanical Museum in 1774. 90 years later it made a splash at the Paris International Exhibition in 1864 where it was being displayed by a jeweler named Harry Emanuel. It was there that John Bowes and his wife Joséphine Chevalier first encountered the swan. They purchased it for £200 in 1872. In a 1773 United Kingdom Act of Parliament, the automaton was described as being 18 feet high. It is believed that a waterfall was originally positioned behind the swan which may have been stolen while it was on tour. In 2008, the swan was subjected to a meticulous public conservation led by specialists Matthew Read and Ken Robinson to dismantle, document, clean and repair the entire mechanism. Their findings suggested that there may be even more lost and forgotten features, such as more fish, ornaments, or flowers that once floated in the stream. 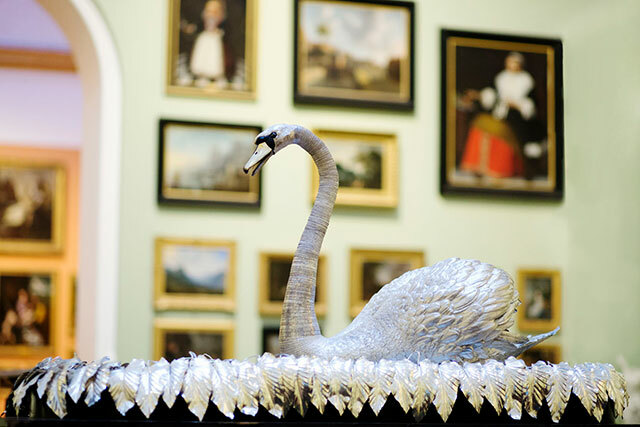 The Silver Swan can typically be seen at The Bowes Museum at Barnard Castle, where it is only operated once a day to preserved the internal mechanism. However, for the first time in over 150 years, it will return to London as part of the Robots exhibition at the Science Museum from February 8 to March 23, 2017. 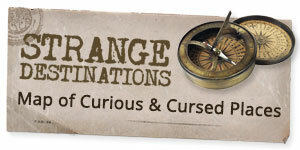 It will then return to Barnard Castle in time for the museum’s 125th anniversary celebration in June.